North Street To Boardwalk To Webster Street Entrance. 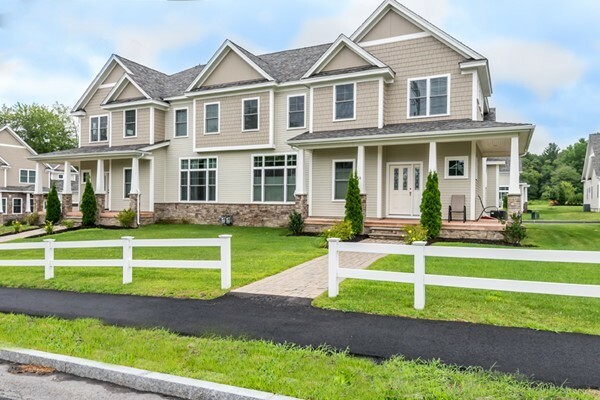 Fabulous newer townhouse located in Northfield Commons! The open concept first floor living space is perfect when entertaining. The gourmet kitchen features granite countertops, stainless steel appliances, butler pantry and a center island. The full size dining room with gas fireplace and slider access to deck is the perfect space when entertaining larger gatherings. The eat-in area just off the kitchen is ideal for more intimate and casual meals. The soaring ceiling gives an airy feel while the abundant windows let in lots of natural light. Three bedrooms and three full baths allow privacy for everyone. The lower level is finished for additional living space when you need it, and includes family room, office and full bath. Additional features include first floor laundry, 2 car garage, and a fabulous courtyard patio with clubhouse, complete with kitchen, entertainment space and exercise room. So much to love and a great commuter location, too! Dryer, Window Curtains & Rods.